Apple may have sold fewer iPhones than analysts were expecting in the fourth quarter of 2017, but the company still brought in revenue of $88.3 billion and profit of $3.89 a share. Part of that money came from the sale of its smart watch devices. Apple doesn’t give away specific figures, but a Canalys report claims that 8 million were shipped during the final quarter—a wearables record. That figure represents the “highest ever number of shipments in a single quarter, not just for Apple, but for any wearable vendor,” according to Canalys. It marks a 32% increase compared to the same period one year ago, and breaks Fitbit’s record of 6.1 million units, which were shipped in the fourth quarter of 2015. The Apple Watch’s yearly shipment figures are just as impressive. Over 18 million were shipped during 2017, up by more than 54 percent YoY. Almost half of these were made up of Apple Watch 3 sales, which introduced the option of cellular connectivity so users could make calls directly from the watch. The LTE version made up 13 percent of Apple Watch 3 shipments. 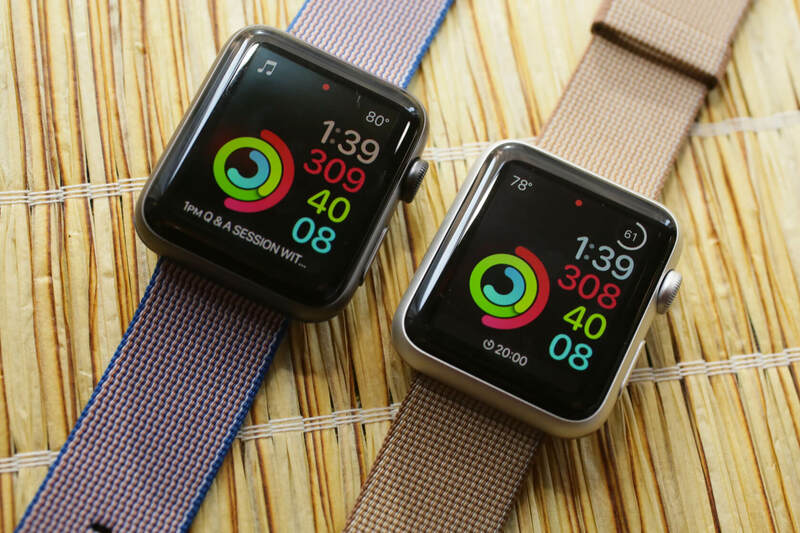 It sold well in the US, Japan, and Australia thanks to partnerships with carriers, “but limited operator selection in the UK, Germany and France influenced consumer purchase decisions, and stifled the growth potential of the connected Apple Watch,” writes Canalys. Party thanks to their discounts following the release of the Apple Watch 3, older models of the wearable made up 52 percent of all shipments in 2017. The figures appear to support Tim Cook’s recent statement. "It was our best quarter ever for the Apple Watch," said the Apple CEO.